If you've never tasted it fresh, you've never tasted the real thing. What's the best way to know how fresh you food is? Pick-it-Yourself! 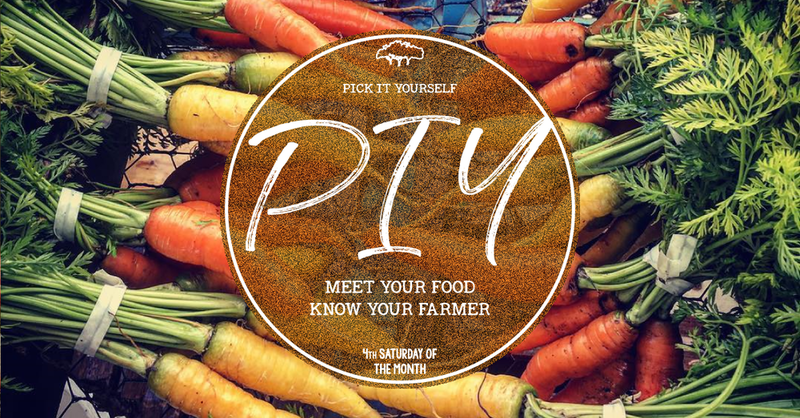 The farm is excited to host PIY harvest days to allow groups to tour the farm, identifying and tasting the seasonal crops, and facilitating you in harvesting the crops you'd like fresh from our fields. Meet your food. Know your farmer. Register for your PIY Harvest session today!